A study done in Canada, once again showed us that holding your stretches for long periods (45 seconds) is not good for your athletic performance, and even impair your warm up. If you like to exercise, please don’t warm up with long stretches. The purpose of the study was to investigate the effect of an acute bout of lower limb static stretching on balance, proprioception, reaction, and movement time. The conclusion was that an acute bout of static stretching impaired the warm-up effect achieved under control conditions with balance and reaction/movement time. control condition. The stretching protocol involved a 5-min cycle warm-up followed by three stretches to the point of discomfort of 45 seconds each with 15-s rest periods for each muscle group. Measurements included maximal voluntary isometric contraction (MVC) force of the leg extensors, static balance using a computerized wobble board, reaction and movement time of the dominant lower limb, and the ability to match 30% and 50% MVC forces with and without visual feedback. Results: There were no significant differences in the decrease in MVC between the stretch and control conditions or in the ability to match submaximal forces. However, there was a significant (P 0.009) decrease in balance scores with the stretch (2 9.2%) compared with the control (1 17.3%) condition. Similarly, decreases in reaction (5.8%) and movement (5.7%) time with the control condition differed significantly (P 0.01) from the stretch-induced increases of 4.0% and 1.9%, respectively. Conclusion: In conclusion, it appears that an acute bout of static stretching impaired the warm-up effect achieved under control conditions with balance and reaction/movement time. significant (P  0.009) decrease in balance scores with the stretch (2 9.2%) compared with the control (1 17.3%) condition. the position of the body in space (proprioception) (8,10). balance, proprioception or reaction/movement time. affect the ability to adapt effectively to stability challenges. Newfoundland, Canada, A1C 5S7; E-mail: dbehm@mun.ca. Submitted for publication December 2003. Accepted for publication April 2004.
could have important implications for athletic endeavors. Approach to the problem and experimental design. rest periods for each muscle group (independent variable). stretch the muscles to the point of discomfort. and experimental stretch conditions was randomized. in maximum force output, another MVC was performed. Knowledge III, Biopac Systems Inc.). (single session) reliability of 0.86.
the stop button, and a trigger plate for the start of the task. 0.93 were recorded for RT and MT, respectively. alpha (Cronbach) model ICC (25) with all 16 subjects. Repeated tests were conducted within 48–72 h.
static balance, RT and MT. TABLE 1. Balance, reaction and movement time data (means  SEM). for balance (power: 50%), RT (power: 95%), and MT (power: 50%). by 5.8% (P  0.16) and 5.7% (P  0.18), respectively. in balance, RT and MT, due to prior stretching. improved performance in the balance, RT and MT tests. for each of the three muscle groups. adjusted through contractions of both trunk and limb muscles. situations (i.e., wobble board). Furthermore, Lipshits et al. soleus and lateral gastrocnemius with 30 min of stretching. (23) in MTU passive resistance or stiffness with stretching. rate at which changes in muscle length or tension are detected. to similar mechanisms as the disturbance in balance. precisely deduced from the present study. contributing to the improvements in RT and MT. produce submaximal force after a voluntary contraction. lower-intensity contractions associated with static balance. contributing to the 2.2% decrement in balance scores. paired samples t-test was then conducted on the RT measures. affect performance on tests of static balance, RT and MT. RT, MT, and balance could result in serious consequences. postural adjustments in conditions of postural instability. Electroencephal. after repeated and prolonged passive muscle stretching. J. Appl. Physiol. 86:1283–1291, 1999. 3. BALBI, P., A. PERRETTI, M. SANNINO, L. MARCANTONIO, and L.
subjects. Muscle Nerve 25:448–452, 2002.
with stretching. Can. J. Appl. Physiol. 26:262–272, 2001.
different warm-up intensities on kayak ergometer performance. Med. Sci. Sports Exerc. 33:1026–1032, 2001. 6. BLOEM, B. R., J. H. J. ALLUM, M. G. CARPENTER, and F. HONEGGER. postural responses? Exp. Brain Res. 130:375–391, 2000. Motor System in Neurobiology, E. V. Evarts, S. P. Wise, and D.
Bousfield (Eds.). New York: Elsevier Biomedical Press, 1985, pp. to incremental exercise in endurance trained athletes. Int. J. Sport Med. 10:25–29, 1989. 10. COOKE, J. D. The role of stretch reflexes during active movements. muscle complex. Eur. J. Appl. Physiol. 86:428–434, 2002.
adults. J. Electromyogr. Kinesiol. 12:391–397, 2002.
after passive stretch of human plantar flexors. J. Appl. Physiol. strength after passive stretch of the human plantar flexors. J. Appl. performance. Eur. J. Appl. Physiol. 48:232–330, 1982.
significance of myosin phosphorylation in skeletal muscle. Can J. Appl. Physiol. 18:229–242, 1993. J. Physiol. Pharm. 68:908–913, 1990.
muscle. Pflu¨gers Arch. Eur. J. Physiol. 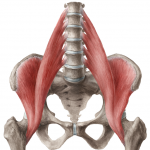 403:348–352, 1985.
of anticipatory postural components of a complex voluntary movement. return after repeated stretches of the hamstring muscle tendon unit. Med. Sci. Sports Exerc. 32:1160–1164, 2000. 24. MAGNUSSON, S. P., E. B. SIMONSEN, P. AAGAARD, and M. KJAER. muscle in vivo. Am. J. Sports Med. 24:622–627, 1996. 26. NASHNER, L. M. Adapting reflexes controlling the human posture. Exp. Brain Res. 26:59–72, 1976. 27. NELSON, M. E., M. A. FIATORONE, C. M. MORGANTI, I. TRICE, R. A.
control trial. JAMA 272:1909–1914, 1994. 28. POLIDORO, J. R. Sport and Physical Activity in the Modern World. Needham Heights, MA: Allyn and Bacon, 2000, pp. 124–132. warm-up on muscle glycogenolysis during intense exercise. Med. Sci. Sports Exerc. 23:37–43, 1991.
perturbations and during standing on rollerskates. Clin. Neurophysiol. on range of motion and anaerobic performance. J. Orthop. Sports Phys. Therapy 27:154–161, 1998.
phosphorylation in vertebrate striated muscle: regulation and function. Am. J. Physiol. (Cell Physiol.) 264:c1085–c1095, 1993. 34. TAYLOR, D. C., J. D. DALTON, A. V. SEABER, and W. E. GARRET. effects of stretching. Am. J. Sports Med. 18:300–308, 1990. 35. TOFT, E., G. T. ESPERSEN, S. KåLUND, T. SINKJÆR, and B. C.
HORNEMANN. Passive tension of the ankle before and after stretching. Am. J. Sports Med. 17:489–494, 1989. H-reflex in humans. Med. Sci. Sports Exerc. 30:933–941, 1998.
performance enhancement through flexibility training. Med. Sci. performance. J. Appl. Physiol. 76:2714–2719, 1994.
alternative explanation for the occurrence of muscular injury. Intern. J. Sports Med. 12:403–407, 1991.
jumping performance. Res. Q. Exerc. Sport 72:273–279, 2001.
performance. J. Sport Med. Phys. Fitness 34: 119–124, 2003. The Winter season can be busy and exciting. We might not have thanks giving and a fairy tale white Christmas in winter time down here, but we still have plenty of distractions to keep us from focusing on our health and taking care of ourselves as we would normally. Furthermore, once the April holiday season is over, many people experience a lull in their motivation to stay active. Some people begin to experience depression or feelings of anxiousness over expenses that accumulated throughout the holidays. Others let diet and healthy eating habits fall by the wayside. Often, given the weather, exercise is sacrificed for warm nights spent indoors on the couch. With shorter days and colder weather, finding the motivation to stay healthy and fit can be difficult. And that can lay the foundation for a weakened immune system, posing a greater risk of developing illness or injury. No wonder they call it the winter blues. What’s more, the colder weather creates several safety risks to us and to those around us, and some of these we may not even be aware of. Recognizing safety risks and patterns of illness or low energy ahead of time is key to preventing them — or at least to dealing with them as they arise. 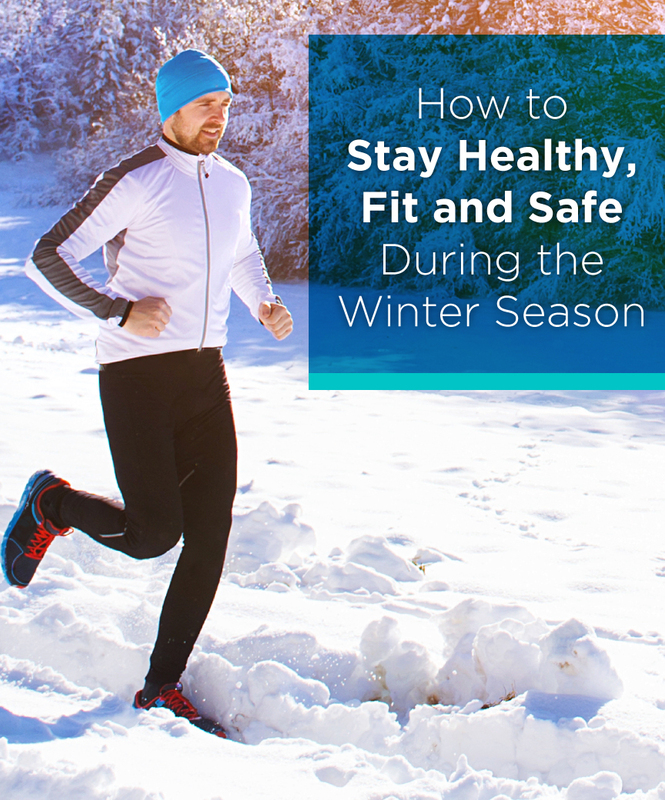 There are countless winter wellness tips and ideas available to ensure you have lots of ways to stay healthy, fit and safe this holiday season and beyond. These healthy winter habits will help you to recognize where your health falls short and what you can do to boost it during this time of year. 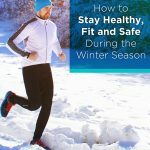 While the winter season might increase the risk for weather-related injury, the biggest risk to our overall health is a lack of attention to diet and exercise routines, the chilly and unpleasant weather can also make it very difficult to find the motivation to get to the gym or head outdoors for exercises. In tandem with this, the additional time spent indoors means many of us snack more than we would typically at other times of the year. This combination that can quickly add on the pounds and reduce our happiness and self-esteem over time. The cold season tends to ignite our cravings for more carbs and comfort foods. Why? After you consume these delicious treats, your serotonin levels rise, making your brain think you are happier. And as the day wears on, your carb cravings get stronger and stronger. To counter this, try eating a protein-packed breakfast to keep your energy levels up throughout the day. If by the time the afternoon rolls around you’re still craving sweets or carbs, be sure to have low-fat and healthy snacks on hand. However, if you can, finding a way to increase your serotonin levels without food is the best way to beat the carb cravings. Omega 3 fatty acids are a healthy type of fat that are naturally found in many food types including fish, plant seeds and nuts. Omega 3 fatty acids are great for reducing joint pain and stiffness as they are a natural anti-inflammatory. Studies have also shown that omega 3 fatty acids help lower levels of depression, which people commonly feel during the shorter days of winter. There are several species of mushrooms that have immune-boosting health benefits. That’s because mushrooms have naturally-occurring antibiotics. This gives them medicinal properties, which helps us to fight off many types of illnesses. Next time you’re at the grocery store, be sure to stock up on varieties like white button or shitake mushrooms and add them to your meals this winter. Soluble fiber found in apples, oats and nuts is an important way to decrease inflammation and boost immune system function. Soluble fiber also helps reduce cholesterol levels in the body and aids in weight loss and protection against diabetes. This is an especially important winter health tip for seniors who require a high-fiber diet to protect their digestive systems. Sticking primarily to vegetables and fruits that are dark green and orange is important in ensuring you’re getting healthy nutrients, sugars and fats. Spinach, kale, Swiss chard, squash, carrots and oranges are all delicious during the winter. There are plenty of recipes available to incorporate these items into your regular winter diet. Onions, garlic, ginger and cilantro are the perfect items to add flavour to your dishes. Not only do they make food taste great, but they’re also shown to help improve immune function. Turmeric is a spice traditionally used in Chinese and Indian medicine. Its main active ingredient is called curcumin, which gives curry its yellow colour. This spice helps to combat several conditions including inflammation and heart disease, and it acts as a powerful antioxidant. Try to stick to a weekly exercise plan so you don’t put off your regular exercise activities. On Sunday night, write down your exercise schedule for the next seven days. Choose your exact workout routines, activities or exercises for each day and how long they will be. Knowing what you’re scheduled to do each day ahead of time makes it easier to stick to. If you can, line up your workout schedule with a friend to encourage each other to stick with it and stay motivated. If you have no desire to head outdoors for your workout, then never fear. There are plenty of resources online that supply fun workout videos and exercises. These resources offer a variety of workouts including yoga, strength training, aerobics and other body-weight exercises. Check out Pinterest for tons of great resources so you can get fit in the comfort of your own living room. These diet and exercises tips are great, specifically in the winter, but they can also be used year-round. By reminding yourself that spring will be here before you know it, you’ll stay motivated to provide proper attention to your body and health habits during the winter. Above and beyond the potential for personal injury and the decline in fitness and diet routines, winter time presents another threat to our health. This time of year, can cause an increase in depression, which may lead to a decline in overall mental health. Though many people may experience mild forms of depression or sadness due to lower levels of sunlight, there are an estimated nine million Americans chronically affected by the change in season. This is known as Seasonal Affective Disorder (SAD), and it is significantly more common in women than men. When our mental well-being isn’t where it should be, we become even more susceptible to stress and illness. It is as important as ever in the winter to take a holistic approach to wellness, not only for our diets and physical exercise, but for our mental well-being, too. Though it sounds like a broken record, frequent handwashing throughout the day is an absolute must in maintaining your health during the winter. It not only helps protect your immune system and prevent you from developing flu and cold, but it protects others around you. If you begin to feel yourself experiencing depression or higher levels of stress, steam rooms and saunas can help. They help tense muscles to relax which can alleviate feelings of stress. The high temperatures also get you working up a sweat, which is a great way to detoxify your body and your skin. Consuming lots of vitamin C during the winter will help your body to battle cold and flu symptoms if you do experience them. Vitamin D helps to supplement the lack of light experienced during winter, but it’s still important to get out in the sun whenever it does appear. Vitamin D helps to absorb other important vitamins like vitamin A, iron and calcium. There are many types of herbal teas that can help you stay healthy. Herbal teas like lemon and chamomile can ease depression and anxiety by calming nerves and relaxing your body. They can also help you sleep better. Some herbal teas like green and Rooibos are great as antioxidants. For the most benefit, be sure to look for organic teas made from high-quality ingredients. When the days get shorter, your body will naturally want to sleep longer and will adjust its rhythm to the hours of daylight. Use the longer evenings to wind down and begin relaxing before bed. Try to go to bed as early as possible to give your body enough rest during the times it craves it the most. Many people choose to use light boxes that operate on a timer and turn on gradually when it’s time to wake up. This helps your body feel like it is morning. Using this method means that over time, it will be easier to wake up, even if it’s dark outside. When you start to feel the winter blues, anxiety and stress, it’s important to know how to manage it in a healthy way. Going for a walk outdoors whenever weather permits will drastically improve your stress levels, even if it’s just once around the block. You may also want to develop the habit of deep breathing whenever you feel anxiety mounting. A winter vacation is a great way to shake off the winter blues and recharge yourself in a healthy way. Planning a getaway to a warmer climate will help lift your spirits and give you something to look forward to.